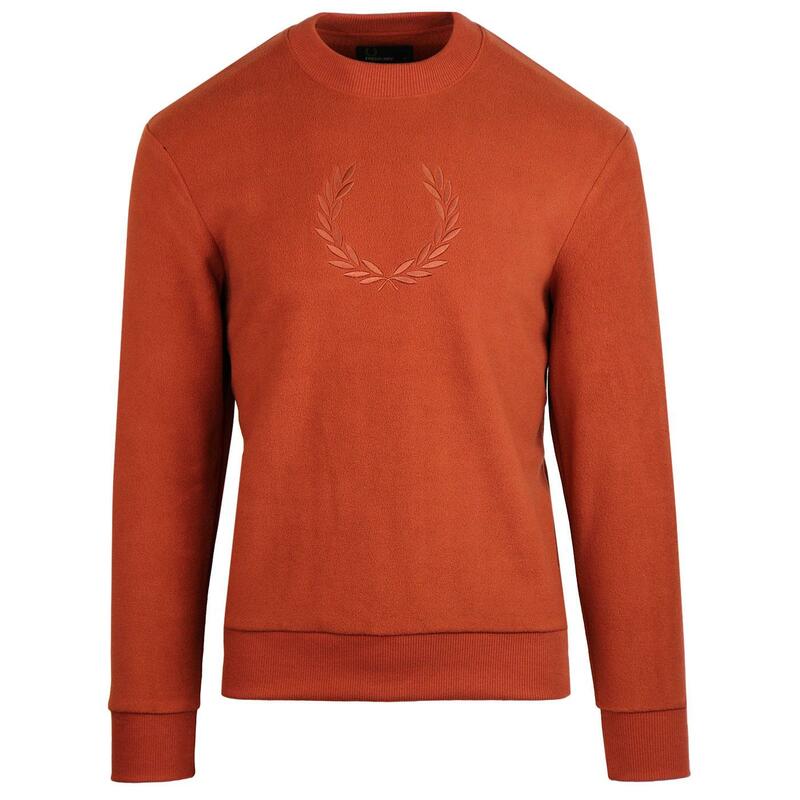 Fred Perry men's retro fleece sweatshirt in paprika. 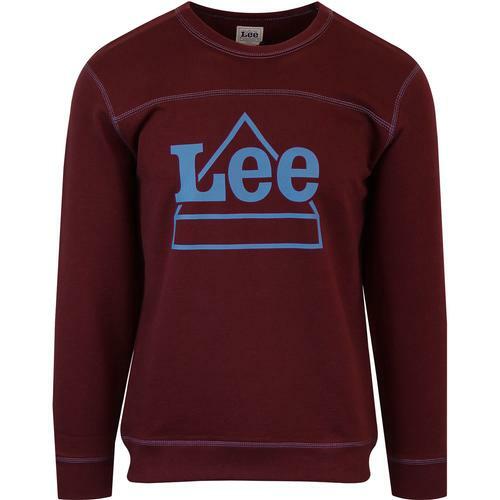 This stylish laurel logo fleece jumper is a perfect layering piece for the autumn/winter season. The subtle tonal oversize Fred Perry laurel logo sits centrally on the chest and adds a certain vintage sports flair to this super soft fleece sweatshirt. 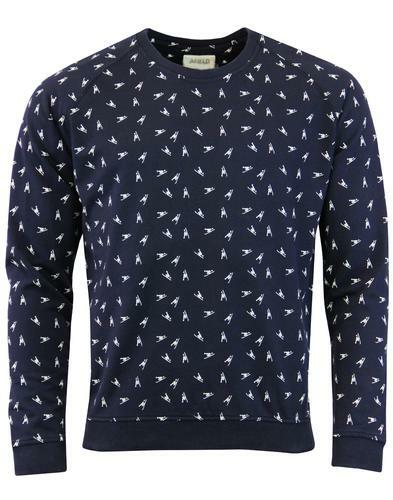 The jumper is finished with ribbed crew neck collar, hem and cuffs. 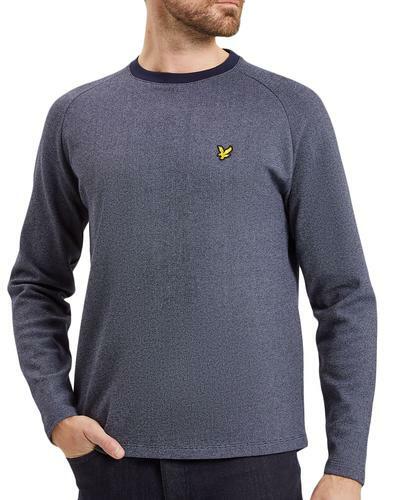 A cool and casual Fred Perry fleece sweatshirt that looks great with denim jeans. Fred Perry men's retro Laurel Logo fleece sweatshirt in paprika. 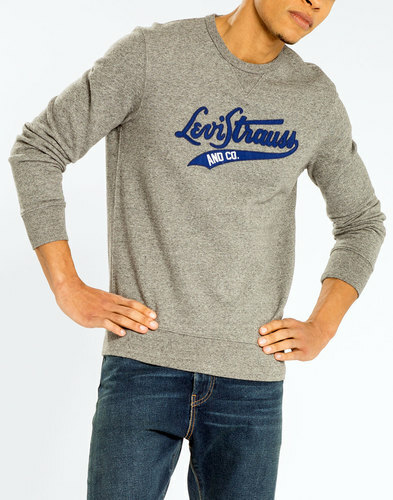 Crew neck jumper with ribbed hem and cuffs. 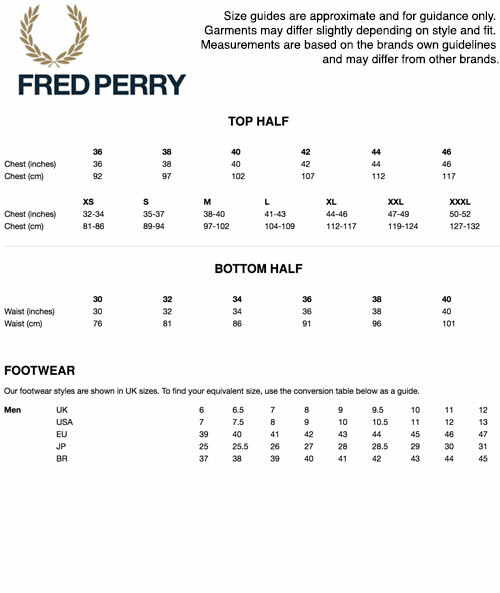 Tonal Fred Perry laurel embroidery to chest. Composition: Body: 100% polyester. Trim: 98% cotton, 2% elastane.